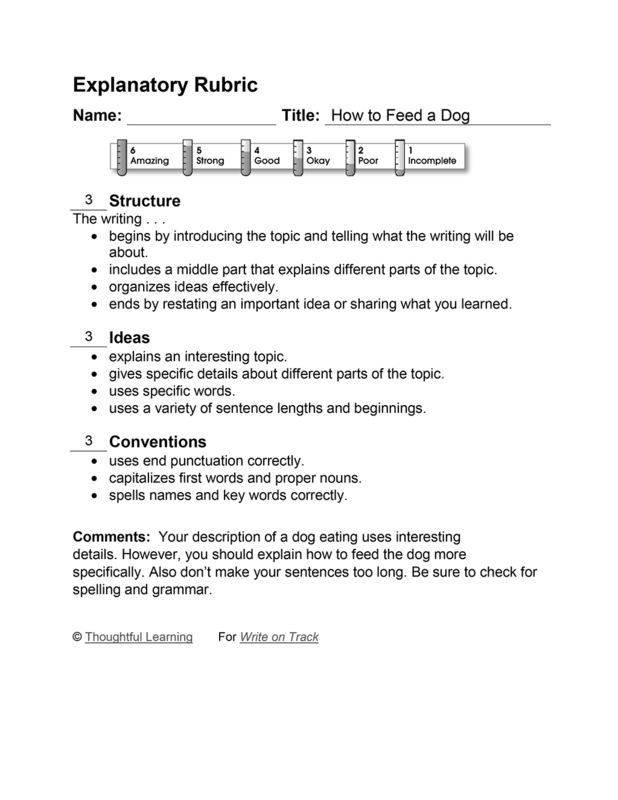 In this explanatory essay, a third-grade writer explains how to feed a dog. This is how you feed a dog. First you get the bowl then you scoop out a cup of dog food and put some warm water into the bowl with the food. Finaly you bring it out to your dog and watch it gobbel it all up as fast as a jet then it will love you forever. And you will be happy you got a dog. How to Feed a Dog by Thoughtful Learning is licensed under a Creative Commons Attribution-NonCommercial-ShareAlike 4.0 International License. Based on a work at k12.thoughtfullearning.com/assessmentmodels/how-feed-dog.